Germany after World War I had huge problems. In 1914, Germany was the second-largest economy in the world after the United States. But four years later it had lost millions of its labor force to a war of attrition in the trenches. Its production capacity had been diverted to war needs. The Treaty of Versailles required Germany to pay reparations to the Allies that were out of proportion to the country's economy to absorb. Creditor countries sent French and Belgian troops in response to non-payment in 1921, and occupied the Ruhr to confiscate goods and raw materials. During 1923 workers reacted to their reduced standard of living by striking. The German government then resorted to running the printing presses to pay workers. Hyperinflation resulted, wiping out the value of people's savings. From this trauma emerged the Nazi Party. In November 1923, the Weimar Government resumed reparation payments. Hitler's nascent Nazi Party led by Hermann Göring surrounded the Munich beer hall where Bavarian officials were meeting. They demanded concessions that the Bavarian Government agreed to at the point of a gun. But the next day Bavarian troops and police came back and surrounded the occupying forces in the War Ministry. The police overwhelmed about 3,000 Nazi marchers. In a 24-day trial, Adolf Hitler and some other Nazi rebels spoke out against the Weimar government and gained sympathy of judges and some of the public. Hitler was given a five-year sentence, the minimum for treason. In prison, Hitler wrote Mein Kampf, establishing the principles of German racial pride in opposition to what he described as a Jewish and Communist conspiracy. Under political pressure, the Bavarian Government released Hitler after only nine months. Out of prison in 1925, Hitler published his hate-filled book and reorganized the Nazi party around himself as a quasi-religious Führer. In 1928, his party got only 2.6 percent of the vote–Germany was again relatively prosperous, as the booming United States invested heavily in the country. The German economy was rebuilt, unemployment was reduced and people began to feel secure. All this changed in 1929. The Wall Street Crash, followed by a growing series of bank panics, was viewed as a crisis of capitalism. Hitler seized the opportunity to appeal to the public for a better deal. In 1930 Hitler's support leaped to 18 percent of the German vote. In 1932, it went to 37 percent. Had the Weimar Government in Germany held on for two more years, U.S. investment might again have recovered. But President Paul von Hindenburg was weak and tired. Reelected in 1932, he was at his wit's end. Although he had a low opinion of Adolf Hitler, he decided he had to seek a partnership with him and his Nazi Party so that he might better control Hitler. He appointed Hitler Chancellor. Expand production of consumer goods to improve middle- and lower-class living standards. To understand how the Nazis remained in power, one must recognize that they largely achieved their economic goals by 1936. Germany's GNP increased by an average annual rate of 9.5 percent, and industry alone rose by 17.2 percent. The expansion brought the German economy out of its Depression and into full employment. Public consumption increased by 18.7 percent, while private consumption increased by 3.6 percent per year. The expansion of the Germany economy may have resulted from delayed response to Weimar economic policies, but the Nazis took credit for it. Inflation was reduced but was still a problem. The Nazis created make-work projects to put young men to work, such as spending money on expanding military capability and initiating a draft to remove working-age males from the civilian labor force. cash to pay for continuing warfare. The Nazis seized cash wherever they could, starting in the mid-1930s or before. People who had their money taken were greatly resentful and became a formidable source of opposition. Other countries built up their military strength, but the United States was largely "isolationist", i.e., determined to stay out of any future European war. In March 1938, Hitler annexed Austria without bloodshed. In October 1938, having threatened a timid Neville Chamberlain with war, Hitler marched into the Sudetenland and carved up Czechoslovakia. Holocaust was now without fear and in full view. Convinced now that Western governments were paper tigers, Hitler turned to his long-simmering determination to wipe out Jewish communities in Germany. In November 1938, Hitler initiated the public phase of the Holocaust with Kristallnacht (Crystal-night, "the night of broken glass"). The Nazi Party coordinated an attack throughout Germany on Jewish homes, businesses, and synagogues. My brother Randal Marlin has recently issued a second edition of his book Propaganda, and I was interested to see how the Kristallnacht attacks follow the propaganda playbook that his book describes. 1. Use News Stories for Propaganda Purposes. The Kristallnacht attacks were inspired by the fact that a German diplomat was murdered in Paris and the suspect was Jewish. When Hitler heard the news, he decided to use the event as the pretext for a mass uprising against Jews in Germany. 2. Stir Up or Create a Violent Response. Hitler and Joseph Goebbels contacted storm troopers throughout Germany and told them to attack Jewish buildings, making the attacks look like spontaneous demonstrations. 3. Do Not Protect, and Instead Arrest, the Victims. Firefighters were told not to put out fires in Jewish homes, only on adjacent non-Jewish properties. The police were told not to interfere with the demonstrators, but instead to arrest the Jewish victims! Confiscated compensation claims that insurance companies paid to the Jews who lost their property. Imposed a huge collective fine on the Jewish community for the crime of having incited the violence by the murder of the diplomat. Barred Jews from schools and most public places, and forced them to adhere to more restrictive curfews. Sent thousands of Jews to concentration camps. What a terrifying time it must have been to be Jew at that time, recognizing that you had no protection from lawless violence. What needs attention is the original statement of Nazi party principles. They made it quite clear that Jews were not citizens of Germany and were without civic standing regarding voting and other civic rights that we today take for granted. That was back in the early 1920s. The moral for us today is to wake up and see what is happening with respect to erosion of the principle of rule of law, and not to allow it to decay any further. burning Jewish businesses and synagogues. 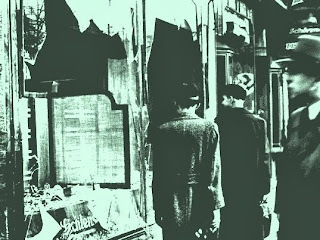 Kristallnacht provides a historical marker, through the end of 1938 of Hitler's rise to power. If I were to write a historical companion to books for children on World War II, this would be point to focus on. Then I would connect Kristallnacht to Anne Frank, as has been done here. 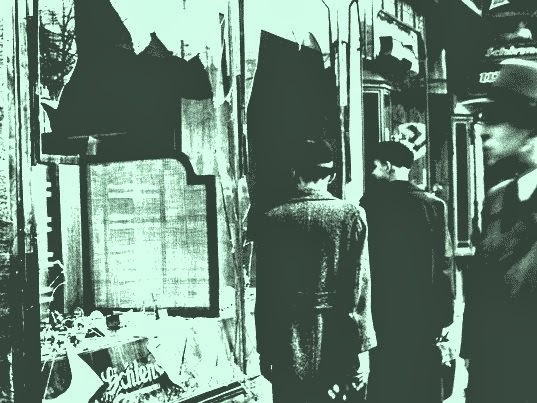 Toronto's York University, Canada's third-largest university, has received funding to study the effect of Kristallnacht on public opinion. The Netherlands had remained neutral during World War I. With the advent of World War II, the Netherlands sought to again remain neutral–a hope bolstered by a promise of nonaggression made by Hitler. However, shortly after 4 a.m. on May 10, 1940, the German army began its invasion of the Netherlands. Queen Wilhelmina left for Britain on May 13, but left behind in a bunker ministers who could run the government (Friedhoff, 27). On May 14, the Germans bombed Rotterdam (Friedhoff, 30). Despite valiant efforts by an outgunned Dutch army, the Netherlands fell to the Germans after only five days of fighting. After the flattening of central Rotterdam, and the threat of Utrecht next, the Dutch Queen capitulated. Collaboration - active cooperation with the occupying forces, on the principle that one goes along to get along. The collaborators prospered during the war and were rounded up when the war ended and dealt with severely. Passive Cooperation - doing what one is told to avoid being killed or punished. This group might choose on occasion to help either the occupying forces or the Resistance, but only if detection was highly unlikely. This group was probably the largest in Holland. Active Resistance - those who took serious risks of detection, deportation and execution were the heart of the Dutch Resistance. The risks were greatest in the middle part of the war, when the Nazis were fully in charge. Toward the end of the war, the Nazis and the collaborators knew that there would come a time when the tables were turned. Encouraging Collaboration. In occupied countries, the Nazis used fear and greed to encourage collaboration. This was done by alternating "whippings and gingerbread" in the words of Joseph Goebbels. Resisters were whipped or shot. Collaborators got the gingerbread. A child could understand this. My mother's book, The Winged Watchman, shows how the Landwatchers in Holland were given power even at young age, and were rewarded for turning in their own families. In the rural areas virtually every farmer was violating the laws about turning over produce to the occupiers, so it was easy enough to intimidate the farmers. Rounding up areas in the cities, or entire villages, and going house to house looking for men of recruitment age (18-45), especially those just turning 18. Threatening families with execution if they did not produce a missing boy. 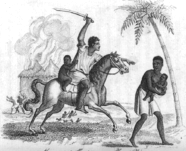 This practice was called razzia, after the North African word for enslavement of one tribe by another. 1. Find out who is Jewish. 2. Find out from them what their assets are. 3. Require that these assets be brought in. 6. Put as many as possible to work. Kill the ones who can't work any more. This played out in Holland. 2. Jewish Businesses Had to Register, with Lists of Assets. The authorities then pursued a procedure repeated in other occupied countries. Once identified, all Jews were required to identify their businesses and their assets, under pain of severe penalties. (See documents in the Mayenne archives in Laval about how Vichy France conducted their Jewish Policy in the Mayenne.) Compliance appears to have been extremely high (see records in the Mayenne). In retrospect, this may be hard to understand but well-off Jews in France might have been told that those with more assets would be given an opportunity to buy lenience from the authorities. Maybe this actually happened even though few records survive of bribery of Nazi officials. Documentation of this type might not have been so meticulous. 3. Owners of Assets Were Interrogated. They were required to bring in all bank account records, titles, certificates, jewelry or cash for inspection (as shown by records in the Mayenne). 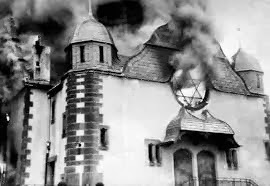 Since Dutch people were already aware that they might have to leave quickly, and Jews must have deduced this from Kristallnacht, some assets must have been highly liquid, such as gold and silver coins. 4. Assets Were Seized. Seizing of assets fueled the Nazi march - a neglected aspect of the Holocaust, that it was a source of funding and a motivator of Nazi officials to pursue Jews. We know Hitler and Goering liked to acquire fine art; everyone had a taste for coins. 6. The "Final Solution". The end of the line, Hitler’s “Final Solution”, was the gas oven. [This is a draft chapter of a book with the working title The Dutch Boissevains Resist the Nazis. This post has been superseded by this one. This post is maintained to preserve links.. This is a chapter of a book in process of being written. The outline and chapter summaries and links are here. link to this post is http://bit.ly/2ErfLdd. January 29, 2015 — The Dutch Army fought as long as it could, but after the bombing of Rotterdam the Queen fled the country to make clear that military resistance by her armed forces was not an option. However, a domestic Resistance effort started immediately, led by the Communists, who were the first group to see concerted reprisals by the Occupation. The riskiest form of activity by the Resistance was armed attacks on Dutch records, police, collaborators and soldiers. The Resistance forces destroyed records that could be used to deport people, or seized documents that could help create fake IDs, or retaliated against individuals who had showed extraordinary brutality. The family of Jan "Canada" Boissevain was at the center of one of the most renowned of these armed groups, known as CS6, after its address, CorelliStraat 6. In Amsterdam in February, I visited their famed house with Charles Boissevain. It is a private residence, so we did not try to go inside. In this house, the father and two sons and several cousins were deeply involved in the most dangerous work of the Dutch Resistance – armed responses. The three leaders were Jan "Canada" and his two eldest sons Janka and Gi. to use this rare family photo. Jan "Canada" Boissevain (1895-1945) (NP p. 55) provided a basement workshop and storage for the CS6 group in his Amsterdam house. 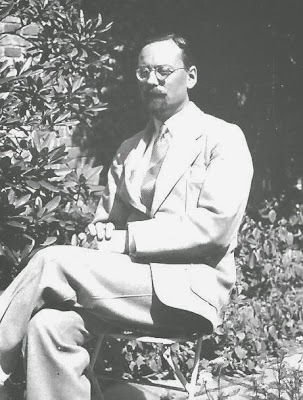 Jan's Resistance work was discovered before that of his sons and he was deported via Westerbork to the Buchenwald death camp, where he died on January 30, 1945. Jan was born in Westmount, Montreal on May 14, 1895, son of Charles Daniel Walrave Boissevain (1866-1944) (NP p. 55), who spent the years 1895-1901 in Montreal as the Dutch Consul-General and died in Geneva, Switzerland. Because of the Canadian connection and because of the large number of people called "Jan" in the family, he was called Jan "Canada" by his relatives. Jan Canada's father Charles Boissevain was the son of Jan Boissevain (1836-1904) (NP p. 52), a ship-owner, son of Gideon (1796-1875) (p. 48) and brother of Charles Boissevain the Handelsblad editor. Jan's wife Adrienne Minette ("Mies") van Lennep Boissevain (1896-1965) (NP p. 56) had already been active in fighting the Nazis in 1933-1940, before Hitler invaded Holland, when she and her sister Hester van Lennep brought large groups of Jewish children from Germany to the Netherlands. Until 1939, she and Jan lived at Keizersgracht 484 where she welcomed a Jewish boy in this larger home. When they moved to a smaller house on Corellistraat, there was no room for Theo Olof any more. When the Nazis started on their Blitzkrieg, young Theo tried to escape to Switzerland. Instead, he spent the war years in Belgium. Theo's mother stayed in Holland and was deported and killed. Theo came back to Holland after the war and became a well-known violinist and conductor. Mies's whole family, says her second cousin once removed Hester Boissevain Grinberg, put on a brave face against the Nazi occupiers, calling them with the abusive term "Moffen" (equivalent in English to "Krauts"). Jan and Mies's basement had forging equipment to create fake identification for Jewish children. The family of the photographer Chris van Dijk has recently provided negatives to the Amsterdam Stadsarchief showing photos used by CS6 to prepare documents. The Goldberg family sheltered by Bob Boissevain, cousin of Jan "Canada", is among these photos. When the CS6 was betrayed, the Nazis searched the Corellistraat house and found a large cache of ammunition and verboten supplies used by the Resistance, such as the forgery equipment. Because she was active with the reception of Jewish children and giving help and food to prisoners, Mies herself became a prisoner in the Vught and Ravensbrück camps. Her health was very poor, but she still had the optimism to be everyone's support, in her family and in the camps, where she was given the nickname "Mammie". Jan and Mies's two eldest children were very brave young men - Jan Karel (Janka) Boissevain (1920-1943) and Gideon (Gi) Boissevain (1921-1943). They founded CS6. Both are included in the List of the Fallen in the Resistance. 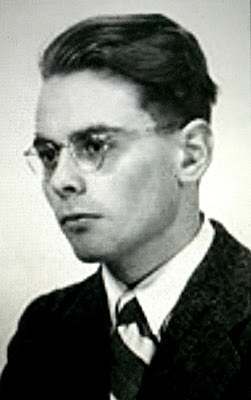 They were in 1943 their Resistance group CS6 (named after their parents' address) was betrayed by Matthijs Ridderhoff. Janka and Gi were arrested and shot by a Nazi firing-squad. Janka scratched the family motto (Ni regret du passé, ni peur de l'avenir - "No regret for the past, nor fear of the future") on the wall of the prison where they were held. It is on his tombstone at the Heroes' Cemetery at Overveen, the Netherlands. The message was discovered later. It reassured the family that the two boys went to their death bravely and with intent to communicate with their family. John, I am writing a book about the Engelandvaarders [England-bound travelers] who tried to cross the North Sea [from Holland]. It will be published by the end of this month. So Thank You for sending details [about Janka and Gi's attempt to go to England via wine barrel]. In total just over 1700 Engelandvaarders reached England. - 172 made it crossing the North Sea (about 330 failed); Gi & Janka were arrested but released, they were very lucky. After Gi, Janka, Louis Boissevain and several other of the CS-6 group were executed in the dunes near Overveen they were buried in a mass grave. Their present graves are at the Erebegraafplaats Bloemendaal. One detail I still miss, is the exact date they left and the date they were arrested. Do you know? Jan "Canada" Boissevain (1895-1945) was sent to concentration camps in Vught, Holland and Buchenwald, Germany, where he died. 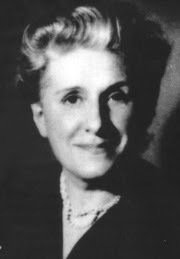 His wife Mies (Adrienne Minette) Van Lennep Boissevain (1896-1965) was with her husband at Vught, and was then sent to Ravensbrück in Germany, where she barely survived. Their two eldest sons Jan-Karel (Janka, 1920-1943), and Gideon (Gi, 1921-1943), were shot by the Nazis at Overveen on October 1, 1943. The other three children - who were involved in Resistance activities, but less intensively - were Francois (Frans, 1922 - 1981), who survived Vught but was very sick when he came home; Anna Maria (Annemie, later Van Asbeck) and Sylvia (later De Groot), who were hiding with friends in Amsterdam and survived. 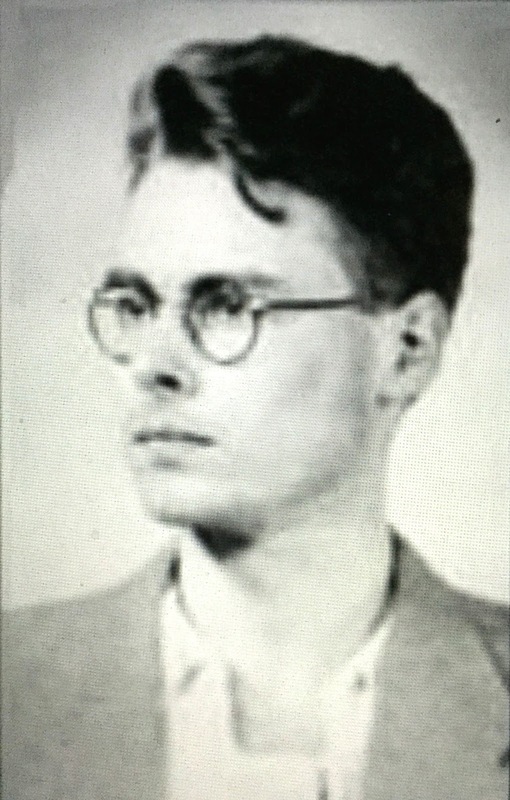 A cousin, Louis Daniël Boissevain (1922-1943), also belonged to the CS6 Resistance group and was shot by the Germans with Janka and Gi Boissevein on October 1, 1943. Louis' sister Thea (Margaretha) Boissevain (1917-2001), survived the concentration camp Vught. Mies's sister Hester van Lennep Baračs, as mentioned, was also involved. She hid Jewish children including a 10-day-old baby who grew up to become the Israeli painter Benny Peleg. He came up from Rehovot to attend the opening night of the exhibit in Haifa, Israel about the Boissevain family's World War II story. In May 2015 I recently received from Charles Boissevain the following letter from Jan Canada Boissevain, translated from the Dutch by the writer's grandson, Jan van Asbeck. Jan Canada was then in the Vught Concentration Camp in Holland. He was incarcerated there with his wife Mies ("Mum" in this letter) Boissevain and their son Frans. Jan Canada wrote two-page letter in ink that was smuggled by the Dutch Underground from him to his daughter Annemie, who was secretly staying with family friends in Amsterdam. Notes in [square brackets] are by your blogger. I just spoke to Mum [Mies]. It was not so easy to meet her but everybody was helpful. She is coping bravely and I managed to get her a job as massage nurse in the hospital. Could you let Fri Hall [???] know that her brother-in-law will be supervising Mum there. Frans is much easier for me to meet with. Each evening he stands waiting for me with like a hungry seal with his shaven head, when I can give him some bread. Yesterday directly after the ending of the parcel blockade [Paketsperre] I got a standard parcel from Kath. S. [Katherine Sillem, daughter of Theo(dora J.) 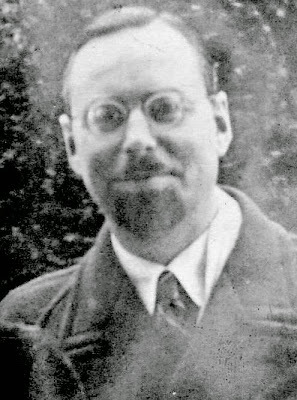 Boissevain Sillem, NP p. 79, who lived near Jan's home in CorelliStraat 6 that gave the name CS6 to the armed Resistance group led by Janka and Gi – JTM]. Could you tell her that this arrived in good order and thank her very sincerely for that. I’m trying to arrange that Frans, when the quarantine has ended next week, will be relocated to my barracks. That should be possible. So in the meantime, only send parcels to me. I’m still using the box with your message "Hi Papsje [Daddy], kisses from Pipsje" [nickname for Annemie] and I get those each morning and evening. They hadn’t told Mum anything in Amsterdam and she heard the terrible news from Frans in the train [October 6, 1943 from Amsterdam to Vught]. Frans was allowed to say goodbye to his brothers [September 30, 1943; they were allowed five minutes together and had to speak in German]. Jan-Karel [Janka] told Frans - "Till now you were the youngest son, now you are the oldest. Look after Mum." He was fully prepared and faced his death with open eyes. I spoke to the man who shared his cell, and to another who shared Gideon’s cell, and they totally agreed on that point. 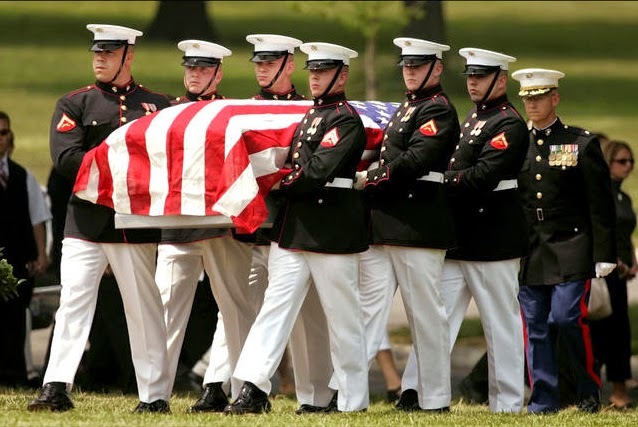 They died with dignity for a just cause and I am trying to see that we are worthy of them. [Jan-Karel and Gideon were shot on the Overveen dunes on the morning of October 1, 1943 and are buried in the Honorary Cemetery, the Eerebegraafplaats Bloemendaal; their graves are shown below in the Postscript – JTM]. I also spoke to Fr. v H. [Frits van Hall (1899-1945), a sculptor and Resistance fighter, first cousin of Gijs and Wally van Hall; he was killed by the Nazis. Frits' sister Suzy van Hall (1907-1978), a dancer, was the lover and partner of sculptor and Resistance hero Gerrit van der Veen. He was killed by the Nazis; she died in 1978, with his picture on her heart. As an orphan at the age of 4 she was brought up in the house of Aat and Nella Boissevain van Hall. ], Pl, and Dr H, who also arrived here, with his wife. Fr. would be very grateful for a pair of warm socks; would you be able to find a pair of those? He walks barefoot in his clogs now and that is very painful. I just received your letters from October 2 , which are very comforting to me... comforting that we all see this in the same way, none of us denying their heroic death. You all have understood my feelings completely, but my deepest feeling is that they haven’t wasted their lives. I didn’t see Wies [Gideon’s girlfriend], she wasn’t there (when they were arrested), but I did see Jeanne [Nanny] and Madeleine. I can so easily imagine how Gideon confronted them, with his sharp tongue, telling them everything that we would never have dared. There was no trial. After the preliminary investigation, an officer arrived from Berlin who after reading the transcriptions of the interrogation decided alone who should be executed. At first there were 20, but that Friday morning they sent back the last one, who had shared Gideon’s cell, and already stood in the line-up. The remaining 19 were taken away. Mum is brave. This morning she gave her 33 fellow-prisoners fitness training and she will be able to cope better here in the prison camp than in jail. She was very pale but her spirit was strong. When the doctor asked about her health and said, "How are your teeth?" she answered with the classic but untranslatable Dutch expression: "My teeth are fine and they actually have hair", which indicates her intention to fight off any attackers. This expression spread through the camp like wild fire and was whispered to me a few hours later when we were lined up for inspection. So her spirit hasn’t been broken in these two months. Her hair is much greyer. You can’t imagine the support I receive from the tact and friendship of my fellow prisoners. Everyone helped me in their own way to overcome my feelings of devastation, confusion and deep grief. Yesterday when I had to crawl under the wire fence to reach Mum it was just like the Hans Christian Andersen fable where the maids of honor make a circle around the princess when she had to kiss the swineherd. There are many other people here who have lost a son or brother for the good cause and who know what I am going through. Will you also thank Sylvia for her loving words. You can only so deeply understand someone’s ideas and emotions when you really love them. I was following precisely those ideas and now I trust that God has a place for our young heroes and that we have to accept this terrible loss. We have rich memories and the comfort that that there was never disagreement or lack of unity in our small family. We wanted the same and will achieve that, and we will benefit from their sacrifice. The freedom they died for will be ours, I’m sure of that. Be careful darlings. We will all three of us be with you again soon. Courage and trust. Greetings for Oene and N.
1. Mies Boissevain: Mentioned several times by Dr. Louis (Loe) de Jong (1914-2005) in his official history of Holland in World War II (pp. 1-489, 6-338, 8-871, 8-924 and 9-529). NP stands for a Nederlands Patriciaat, a database for prominent families in Holland, all the more important because it is infrequently updated. 2. Explosives under Corellistraat 6: Charles Boissevain, email, Feb. 8, 2015. 3. Tribute to Mies by Bob Boissevain: Boissevain Family website. 5. Letter from Jan Canada: Found and translated by Jan Canada's grandson Jan van Asbeck and included here by his kind permission. The above post is a draft of a chapter of a forthcoming book. To see the chapter outline go to The Boissevain Family in the Dutch Resistance. If you ever find any broken links or have other comments, the author would appreciate an email – john (at) cityeconomist.com. To get back here fast, just type two words in Google: Boissevain WW2. The outline and links below are designed to facilitate review of my draft book on The Boissevains in World War 2 for editing purposes so that review copies will be available at the Boissevain Family Reunion in April 2016. Chapters are currently of unequal length and the goal is to make them approximately equal. If you have suggestions, please contact the writer–john@cityeconomist.com. Appendix A–Sources. Appendix B–Walking Tours of Herengracht and Keizersgracht . Appendix C–Walking Tour of 20th C Amsterdam. Appendix D–Boissevain Reunion, 2016. Introduction - Why this book is being written now–before the number of those living today who were alive during the war shrinks to zero. We need them to help identify letters and other source materials and ensure the record is correct. Not everyone in the Boissevain family was a brave member of the Resistance. Even those who never intended to collaborate with the Nazis were tricked or bullied into revealing things that helped the Nazis in their evil work. But the Boissevains and van Halls had more than their share of brave activists. They did things daily for which they could be summarily shot by the SS thugs who ruled them. Many of the people who were bravest said they only did what was expected of every Dutchman. When the Queen in exile said her country was a nation of heroes, the underground papers were silent because they knew that no one was seeking to be a hero, any more than she was when she fled Holland after Rotterdam was bombed, and when heroism meant endangering. It is essential to recognize that for Dutch people none of the possible responses to the invasion was easy. It took powerful determination and a trusted network to defy the crazily murderous Nazi regime and support the Resistance. The most reliable networks were to be found in patriotic families, which were hard for the Nazis to infiltrate–not that there weren't collaborators inside these families. Secrets were kept even from siblings that could not be trusted. No one knows when or where this unsought heroism may be needed again. 1-2 The Boissevain Family and Their Homes (Before the Nazis Came). In the 1920s, the Boissevain and van Hall families were well off relative to the rest of Europe. The Boissevains left the Dordogne in France after the Revocation of the Edict of Nantes. They were mostly Huguenot business and professional people who lived around Amsterdam. 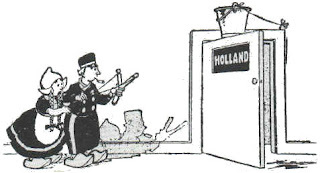 Holland had been neutral in WWI and prospered after the war; the Dutch expected a blockade as in WWI, and was ready for it, but they did not expect invasion. 3 The Nazi Rise and Dutch Invasion. The Crash of 1929 precipitated a loss of confidence in capitalism that led to the rise of Hitler. Speculators helped create instability that resulted in a global crash, paving the way for Nazi ideologues and other extremists. Hitler had less than 3 percent of the German vote in 1928. He got 18 percent in 1930 and 37 percent in 1932–enough for him to have the largest party in the Reichstag and to declare himself dictator (Führer) when Germany's President died the day after a visit from Hitler. In 1933 FDR nd his Treasury Secretary, Will Woodin, fixed the mess in the USA, but it was too late to save Germany and the world from the Nazis. Dutch businesses dealing with German firms were soon affected. Both Jan "Canada" and Bob Boissevain were in the fertilizer industry. In 1933 Hitler merged the German chemical companies into a single giant, I. G. Farben, and in 1936 various marketplace battles ensued, bankrupting their Boissevain partners, including Charles E. H. and Bob. 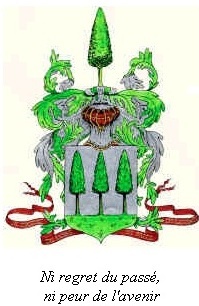 4 The First Nine Months–the de Booy Family. Truth is the first casualty of war. From May 1940 to February 1941, the Nazis hoped that by disguising their most evil plans and taking a cousin-to-cousin approach to the Dutch people, they might be widely accepted and even welcomed, as they were in Austria. Goebbels believed in this plan and was angry when he found the Dutch to be "insolent". 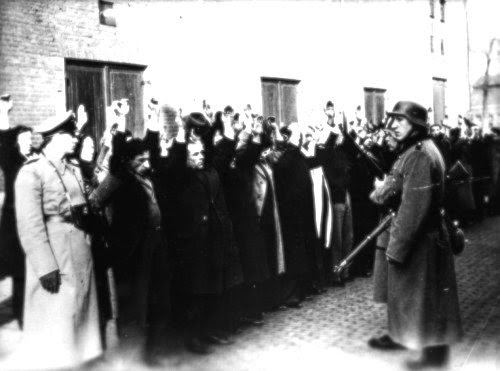 After the general strike in 1941 following deportation of hundreds of Jews, the Nazis took off their mask of friendliness and treated the Dutch resisters with a brutal response, culminating in the "Hunger Winter" of 1944-45, when what little food was left in Holland was seized and put on trains for Germany. Han and Hilda de Booy's daughter Engelien was married throughout the war to a Jewish man, Frans Polak. The stress of not knowing what would happen to them shows through the letters of Hilda (after whom my mother was named) to her sister Olga (my grandmother). 5 How Resistance Fighters Organized. After the invasion of Holland, Resistance groups formed almost immediately. Many were wiped out. The main functions of the Resistance were to (1) Hide and help fugitives from the Nazis, (2) Disseminate information to counter Nazi propaganda, (3) Cause serious harm to Dutch collaborators and SS enforcers, (4) Forge IDs and papers to help fugitives travel, (5) Raise money for all the above activities. Different groups pursued pieces of these missions. 6 Fight–Armed Resistance–Gi, Janka, Louis Boissevain. CS6 was organized by two sons of Jan "Canada" Boissevain, Janka and Gi. They operated out of the basement of their parents' home in Corellistraat 6. CS6 used to meet in the soup kitchen behind the Palace on the Dam. Janka and Gi are buried with their cousin Louis Boissevain in Plot 33 of the Honorary Cemetery. Their father, who was arrested first, died later in Buchenwald. 7 Flight–Escaping Holland–Hans de Beaufort. Unlike a country like Norway, whose border extends a long way with neighboring neutral Sweden, there were only a few ways out of Holland and none was easy–via Germany (from the frying pan into the fire), the North Sea (patrolled by the German Navy), and Belgium, also occupied. Early on, a few people escaped to England (the Engelandvaarders) over the water. Gi and Janka got part of the way, but were arrested en route; luckily, their cousin Han de Booy got them released. A route that worked for a long time later was to take a train to Paris, and from there to Switzerland, Spain or other unoccupied country. Charles Boissevain is seeking the recognition of Jean Michel Caubo, who gave his life meeting escapees from Holland in the Paris train station. Hans de Beaufort, son of Teau Boissevain, was active in assisting downed flyers to escape this way, mostly to Switzerland. 8 Sheltering Underdivers–The Goldbergs and Dr. Vecht. The story of a Jewish family–Leo Goldberg and his wife and one of his three children–and a Jewish dentist hidden by Bob Boissevain and his family–is told here. 9 Financing the Resistance–Wally and Gijs van Hall. Wally van Hall and his older brother figured out ingenious ways of obtaining money to support the Resistance. They pulled off maybe the biggest single bank robbery ever, worth perhaps half a billion dollars in today's money, replacing real bank notes with forged ones and giving the real money to the Resistance. Wally is buried in Plot 35 of the Honorary Cemetery and also has a separate monument to him in the square opposite the Nederlands Bank in Amsterdam. 10 Other Family Members. What they did is not always clear because they were shot or died in concentration camp. 11 Underground Papers–H[ilda?] van Rijnbach. Many family stories are told of informal communications through carbon copies of letters, and illegal radios. Passing on news was a very important and widespread activity of the Dutch Resistance. On this matter–getting unfiltered news about the war from the outside world–the Dutch police were prone to turning a blind eye if they could be sure of avoiding reprisals from their Nazi overseers. H[ilda?] van Rijnbach worked as a housekeeper for Hilda de Booy and her daughter Engelien de Booy. 12 After the War–Awards, Joys, Tragedies. Awards went to family members from Yad Vashem, the Dutch Government and other governments. The Goldbergs' story (Chapter 7) has a happy outcome for the three who were hidden by Bob and his family and two other children who were not. The daughter who was hidden, Anya (Anna Ormont), emigrated to Canada; another daughter stayed in Amsterdam; and a third child, Max, went to the United States where he prospered and had a son who as of this date has two sons of his own. The postwar story of the fourth guest in the house, Dr. Jacob Vecht, was much sadder. FUNERALS | How Many Should Presidents Attend? I have been getting some emails recently that begin with a terribly sad story about someone who served their country well and then died, and people came from all over the country. These stories are emotionally charged. They capture my attention. Then, in the last paragraph, the point of the whole story turns out to be an attack on President Obama for not coming to the funeral. We need to put this kind of email in a box with a heavy weight attached and sink it to the bottom of the sea–at least the last paragraph that politicizes everything that went before. We have only one President, and only four years between elections. How do we really want our Presidents to spend their time in office? In 2010 there were 2.5 million deaths in the United States. Let's say that a super-strong case for the virtue, nobility, courage and patriotism of the deceased can be made for one percent of these deaths. If we required the personal attendance of the President of the United States at each of these funerals, that means 250,000 funerals per year, or about 1,000 funerals per working day. Factor in the overseas funerals and other events that the President is expected to attend, and good cases for his attendance make bad principles for how Presidents should spend their time. Other countries solve the problem by having a head of state who is not the CEO. They have a person who is like a non-CEO Chairman–a monarch like the Queen of England is a good example. In this country the Vice President seems to serve this role. The problem of deciding which memorials to attend still remains, but the task is at least cut in half. If we want our Presidents to keep their attention focused on national priorities like job creation and international relations, I think we should be critical of calls for them attend more ceremonies. January 14, 2015–Now that the incoming Republican majorities in the House and Senate have their leadership in place, they may be looking through the issues that absorbed the 2014 campaigns to ready their agenda for 2015. 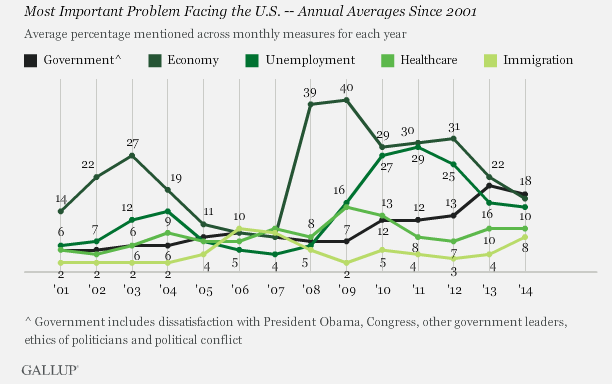 According to the Gallup Poll (see chart), immigration is one of the top five issues in the United States, and it has been rising in importance relative to other issues. I receive a chart book every month from Risk Management Advisors LLC. They summarize economic data and often do some in-depth research on a topic of interest. The January Chart Book has some interesting data on the immigration issue. Noralyn Marshall and Alastair Hunter-Henderson take apart the issues facing the country on immigration and suggest some solutions. To set the stage for their discussion, Marshall and Hunter-Henderson describe the "Waiting Line"
650 million people (i.e., the entire population of North and South America combined) according to Gallup surveys would like to leave their country permanently; Gallup has been polling on this issue since 2007. The United States is the #1 desired destination for nearly one-fourth of respondents, i.e., there are more than 150 million adults worldwide in line to come to the USA, increasing by 3 million per year assuming continued 2 percent annual population growth. Most eager to emigrate (38%) are sub-Saharan African residents, because of poverty and economic stagnation and high birth rates. Next most eager (23%) are people in the Middle East and North Africa, because of political unrest and persecution, and with the second-highest global birth rates. To get the full chart book, contact Noralyn or Alastair: noralyn@att.net alastair@att.net. 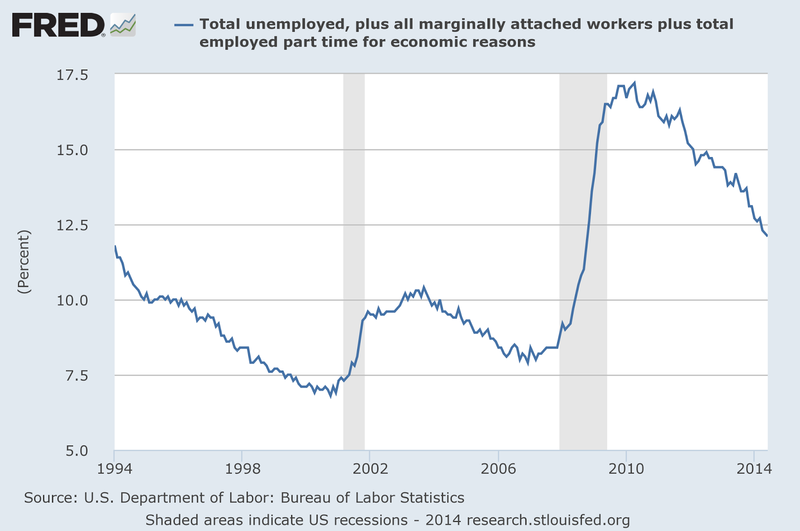 The U-6 Unemployment Rate Since 1994. FRED Chart by FR Bank of St.
Louis. The rate fell in December to 11.1 percent, not seasonally adjusted. The year 2014 is the best for U.S. job growth in 15 years. The BLS announced today growth of 252,000 U.S. jobs in December plus a total of 50,000 jobs added as adjustments to prior two months. Continuing the November pattern, job growth in December was strong in professional and business services, construction, food services and drinking places, health care, and manufacturing. The unemployment rate in December was the lowest in six years, down to 5.6 percent from 5.8 percent. A rate that falls below 6 percent is ordinarily a warning of inflationary pressures, and like a Greek statue the Federal Reserve remains poised to reduce its efforts to stimulate the economy through low interest rates. However, wages remain depressed, economic problems in Europe are a drag on future growth, and the bond-market rooms of the global financial casino - where the smartest players are rumored to hang out - don't seem to worry about a rise in long-term interest rates. Alternative measures of unemployment and labor utilization show improvement, especially U-6, which fell 1.9 percentage points between December 2013 and December 2014. (Jason Furman, Chairman of the President's Council of Economic Advisers, this morning, in his comments on the data from The White House, shows a 1.8 percent drop, presumably because the White House is working with more precise data.) This suggests a significant drop in those employed involuntarily part-time, for economic reasons, another sign of a cyclical recovery. NOTE: Persons marginally attached to the labor force are those who currently are neither working nor looking for work but indicate that they want and are available for a job and have looked for work sometime in the past 12 months. Discouraged workers, a subset of the marginally attached, have given a job-market related reason for not currently looking for work. Persons employed part time for economic reasons are those who want and are available for full-time work but have had to settle for a part-time schedule. Updated population controls are introduced annually with the release of January data. Source: BLS. 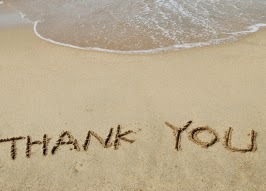 Thank you for reading the CityEconomist blog.